Tony Award winner Terrence McNally will be honored at The Full McNally: A Celebration of the Writing and Works of Terrence McNally, presented by Westport Country Playhouse at the theater’s annual fundraising gala on Monday, September 24, 2012. Actors Tyne Daly and Richard Thomas, who have appeared in McNally plays; Daly in Master Class and Thomas in Unusual Acts of Devotion and The Stendhal Syndrome, will co-host the evening’s festivities which kick off at 5:45 pm with cocktails, followed at 7 p.m. by performances by Broadway friends of The Playhouse. Dinner with the evening’s stars will be at 8:30 p.m. A silent auction will be on-going throughout the evening. Attire is festive; black tie optional. Proceeds will benefit Westport Country Playhouse – its work on stage, with schools, and throughout the community. Directing the 2012 gala production is Josh Rhodes (the film version of Company, Broadway Bares, Sondheim: The Birthday Concert); and music director is Mary-Mitchell Campbell (Drama Desk Award for Outstanding Orchestrations for Company; The Addams Family; Sweeney Todd; Next to Normal). 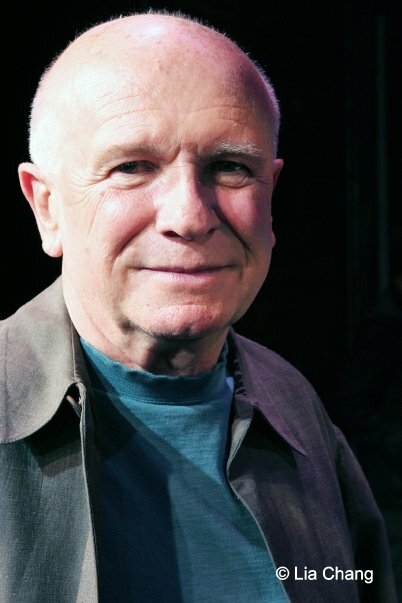 Terrence McNally was awarded the Dramatists Guild Lifetime Achievement Award in 2011. He is the winner of Tony Awards for his plays Love! Valour! Compassion! and Master Class, and his books for the musicals Ragtime and Kiss of the Spiderwoman. His other plays include Frankie and Johnny in the Clair de Lune; Lips Together, Teeth Apart (produced at Westport Country Playhouse in 2011); Corpus Christi; A Perfect Ganesh; The Ritz; It’s Only a Play; Some Men; Golden Age; Deuce; The Lisbon Traviata; Bad Habits; The Stendhal Syndrome; Dedication or The Stuff of Dreams; Next; Unusual Acts of Devotion; Sweet Eros; Witness; Where Has Tommy Flowers Gone? ; and his first play, And Things that Go Bump in the Night. McNally has written the books for the musicals The Full Monty, A Man of No Importance, The Visit, and The Rink. He won an Emmy Award for Best Drama with his teleplay “Andre’s Mother,” and he wrote the screenplays for Frankie and Johnny, Love! Valour! Compassion!, and The Ritz. Among his many awards are a Citation from the American Academy of Arts and Letters, the New York Drama Critics Circle Award for Best New Play, four Drama Desk Awards, three Hull-Warriner Best Play Awards from the Dramatists Guild, two Obies, two Lortel Awards, and two Guggenheim Fellowships. 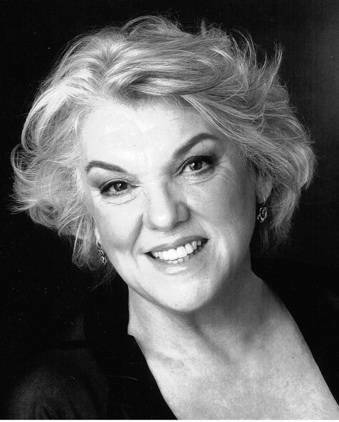 Tyne Daly recently starred in Master Class on Broadway and in London, reprising the role of Maria Callas which she played at The Kennedy Center. A renowned stage, screen, and television actress, Ms. Daly’s stage work has won her numerous awards, including a Tony Award for her performance as Rose in the highly successful 1989 revival of Gypsy and a Tony nomination for Rabbit Hole. Her television appearances are too numerous to list, but she is best known for her work on “Cagney & Lacey” (four Emmy Awards), “Judging Amy” (Emmy Award) and “Christy” (Emmy Award), in addition to appearances on “Burn Notice” and “Grey’s Anatomy,” and in several TV films. She has received 16 Emmy nominations. Film work includes Georgia, with Joan Allen and Jeremy Irons. Ms. Daly was trained at the American Shakespeare Festival, Brandeis University, and the American Musical and Dramatic Academy. 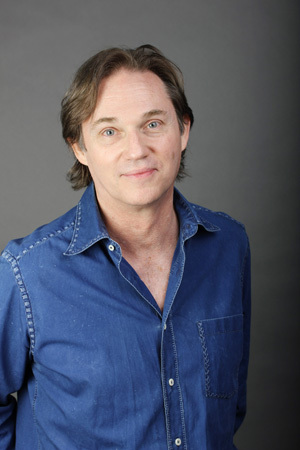 Richard Thomas appeared in the Westport Country Playhouse productions of Critic’s Choice and Whose Life Is It Anyway? Last season, he was in a Script in Hand reading of The Golden Age and a presentation of A Distant Country Called Youth. Thomas starred in the Emmy Award-winning series, “The Waltons.” He has continued to star in series, films, plays, and over 50 movies for television. On stage, he has been called “one of the leading classical actors of his generation” – Newsday. His career began on Broadway at age seven with 1958’s Sunrise at Campobello, and has continued with such shows as Fifth of July, The Seagull, The Front Page, Tiny Alice, Peer Gynt, Richard II, Richard III, Hamlet, and The Stendhal Syndrome. Recent appearances include Broadway’s Democracy and Race, The Public Theater’s Timon of Athens, and the national tour of the acclaimed Broadway revival of 12 Angry Men. Thomas can be seen in “The Music Teacher,” A Hallmark Channel Original Movie World Premiere, which airs on August 11, and on Broadway at the Samuel J. Friedman Theatre in Manhattan Theatre Club’s An Enemy of the People this Fall. The Gala Committee includes Katia and John Friend and Carlyn and Robert Stonehill, co-chairs; Karen Parrella, auction chair; Marjorie Barnes; Emily Boothroyd; Ania Czekaj-Farber; Michele Flaster; Angela Graham; Kim Harizman; Joanna Heimbold; Irma Hilton; Beth Hayes; Carole Hochman; Jennifer Huisking; Darlene Krenz; Mary Ellen Marpe; Mark Osgood; Judy Phares; Marjorie Treisman; and Judy Wetzel. Gala tickets range from $2,500 to $250. Benefactor level, at $2,500 per person, includes a cocktail party, highest priority seating at performance, post-performance dinner with the evening’s stars, and an invitation to a Benefactor Preview Party at a private home in early September; Patron level, at $1,000 per person, includes a cocktail party, priority seating at performance, and post-performance dinner with the evening’s stars; and Supporter level, at $250 per person, includes a 6:30 p.m. champagne toast followed by the performance. A limited number of Supporter tickets are available. Purchase gala tickets online at www.westportplayhouse.org/gala. 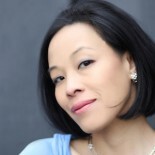 This entry was posted on July 17, 2012 by Lia Chang in Entertainment, Events, Theater, Travel and tagged “The Full McNally: A Celebration of the Writing and Works of Terrence McNally, Backstage Pass with Lia Chang, Lia Chang, Love! Valour! Compassion!, Master Class, Terrence McNally, The Full Monty, Tony Award, Westport Country Playhouse.